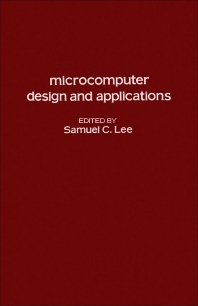 Microcomputer Design and Applications provides information pertinent to the fundamental aspects of microcomputer design and applications. This book presents a design approach for multiple-processor computers. Organized into two parts encompassing 16 chapters, this book begins with an overview of a number system and supporting computational algorithms, which is especially useful for microcomputer control and digital signal processing. This text then presents an integrated technical and management-based method for developing microprocessor software. Other chapters consider file structures for a small-scale database system designed for microprocessor implementation and present the formulation of file structures for a typical microprocessor/flopping disk system. This book discusses as well the proposed solution to specify a high-level, machine-oriented, structured programming language suitable for general microprocessors and to implement a portable compiler for this language. The final chapter deals with a distributed processing system for non-invasive cardiac surveillance. This book is a valuable resource for engineers and computer scientists.